This is a basic recipe for a simple Creamy Polenta that is the perfect side dish for a hearty slow-cooked stew or something as simple as sautéed mushrooms. 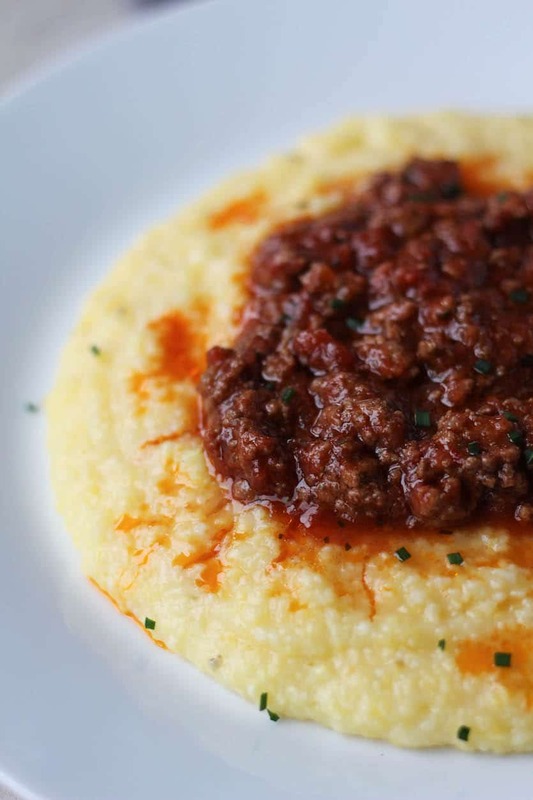 Polenta is a classic Italian dish of cornmeal porridge, frequently eaten will meat, stew or ragu. It is made by boiling cornmeal into a porridge, which can be eaten fresh, or cooled and sliced, grilled or baked. Although it can be made with a large variety of grains, the classic version is made of ground yellow corn. 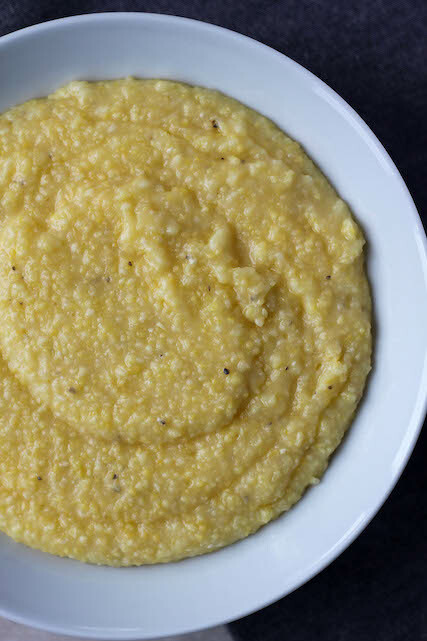 Since corn is a gluten-free grain, polenta is a great alternative to rice or potatoes and serves as a source of complex carbohydrates in a well-balanced meal. Although most frequently eaten in a savoury format, it can also be eaten as sweet breakfast porridge in place of oatmeal. In stores, you can find both packaged polenta and packaged cornmeal which are very similar in nature and can both be used in this recipe for creamy polenta. The biggest difference between to two is the grinding method; cornmeal can be found in different textures, while polenta is typically always coarse ground. If you can’t find polenta in your local grocery store, you can certainly use ground cornmeal, just be sure to use a medium grind cornmeal. 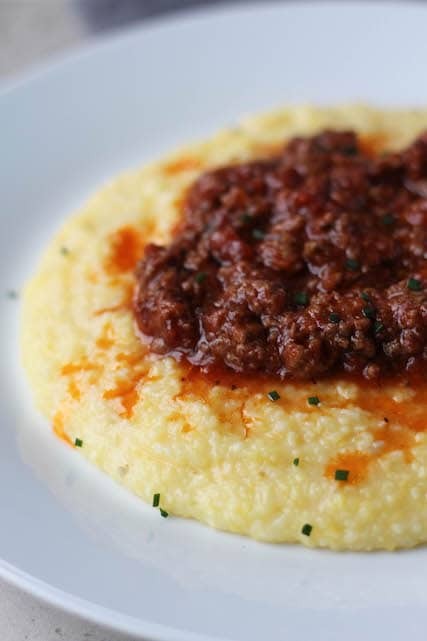 In addition to cornmeal, you can also often find quick cooking polenta, and much like quick-cooking oatmeal, it has been pre-cooked to help cut down on cooking time. However, I’ve never found a quick cooking polenta that provides the same texture as the classic stove-top method. This Creamy Polenta recipe makes a great side dish for my Mushroom Skillet Chicken or a quick tomato sauce made with my 10-Minute Marinara. The ratio of water to polenta can vary slightly based on how fine or coarse your polenta is; simply begin with 5 cups and slowly add more water as needed. In a pot, combine water and salt and bring to a boil. Once water is boiling, gradually pour in the polenta in a steady stream, whisking gently. 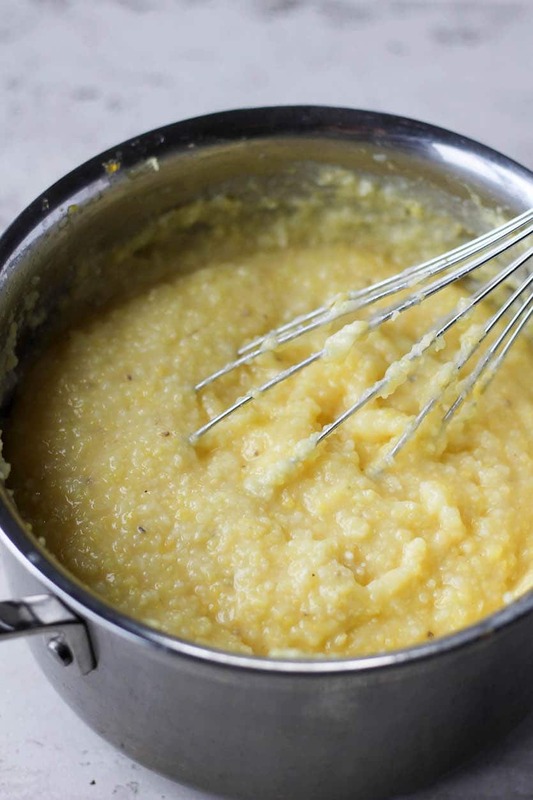 Continue whisking polenta until it begins to thicken and reduce heat to a gentle simmer. Cook polenta for 30-40 minutes, whisking frequently to it from sticking to the bottom or forming clumps. Once polenta has thickened, add in butter and cheese (optional) and stir well to combine.